This bible commentary looks at how Exodus has influenced and has been influenced by history, religion, politics, the arts and other forms of culture over the ages. 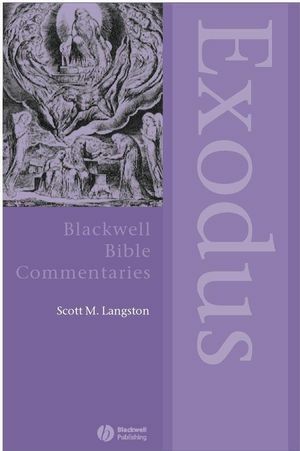 A bible commentary tracing the reception history of Exodus from Old Testament times, through the Patristic and Reformation periods, to the present day. Considers the ways in which Exodus has influenced and has been influenced by history, religion, politics, the arts and other forms of culture in Jewish, Christian and secular settings. Looks at how Exodus has served as a tool of liberation and tyranny in a variety of settings. Shows how Exodus has been used to shape the identities of individuals and groups. Discusses the works of current and past poets, musicians, film-makers, authors and artists influenced by Exodus. Considers the impact of the Ten Commandments and other laws, in legal, political and religious contexts. Scott M. Langston has taught Biblical Studies and American History at various institutions on the graduate and undergraduate levels. He currently is teaching Biblical and Religious Studies at Texas Christian University in Fort Worth, Texas. "The series emphasises the influence of the Bible on literature, art, music and film, its role in the evolution of religious beliefs and practices and its impact on social and political developments. Drawing on work in a variety of disciplines, it is designed to provide a convenient and scholarly means of access to material until now hard to find, and a much needed resource for all those interested in the influence of the Bible of Western culture." "The interpretative material is especially rich, in both quantity and significance … This is a mine of information which should both delight and inspire." "On the history of reception, there is no equal to this fine book. A feast for historians of Western culture!" "Langston’s book, and the entire Blackwell series, offers a compact and focussed entrance into sources for the interpretation and reception of the Bible." "Langston has offered an accessibility to the book of Exodus that opens the imagination … Biblical scholars interested in sociology and anthropology should certainly read this book."